Pompeii has inspired countless documentaries, movies and books and is an UNESCO World Heritage site. In the morning, you will take an air-conditioned bus from Rome to Pompeii (appx. 2.5 hrs). Then begin your day by standing on the ridge of the crater of the still-active volcano - Mt Vesuvius and take in the incredible views of Naples. Infamous for the destruction of Pompeii and Herculaneum in 79AD, Vesuvius has erupted many times since – and is today regarded as one of the most dangerous volcanoes in the world due to the 3,000,000 people living directly in its path of destruction. Avoid the crowds and the heat of the daytime and visit the Vatican Museums and Sistine Chapel after official closing times. Escape the crowds of Venice and explore Murano, a small island world-famous for its glass, and Burano, famous for its centuries old tradition of lace-making and for its houses huddled tightly together and each painted a different color. This tour also includes live demonstrations in the art of glassblowing and lace-making led by master artisans. Along with Master Chef Carmen, you will learn to prepare an authentic Neapolitan meal, while following traditional recipes that have been passed down for generations. Each class is held in a comfortable homely environment and it is unique in its own way with different menus to prepare that can consist of pasta (gnocchi or ravioli), meat or fish and typical Italian dessert! All dishes will be prepared with the most genuine and fresh ingredients- After all, you are in Italy! A leisurely day spent exploring and enjoying the beautiful island of Capri. - Marvelous cave, Natural Arch, Villa Curzio Malaparte, Faraglioni, the Lighthouse "Punta Carena". A leisurely day spent exploring Amalfi and Positano by boat. - Marciano, Mitigliano and Bagni della Regina Giovanna (with free time for swimming and snorkeling). 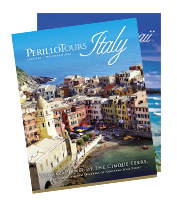 - Port of Positano with a stop of about 2 hours to explore the pearl of the Amalfi Coast. Amalfi-stop for about 2 hours to visit the ancient Maritime Republic. In the morning, transfer from Rome to Pompeii(appx. 2.5 hrs). Tour the ill-fated city, walking the streets and witnessing first hand the startling plaster death casts of the volcano's victims and explore examples of every building from homes to bath houses, fast food stores to outdoor theaters. Next, take a break for a leisurely lunch of authentic pizza. This tour is a great way to add Venice to your itinerary if your time is short in Italy. Be at your meeting point by 6:45am to depart promptly at 7am and arrive in Venice around 10:30am. Your full day tour includes a morning boat trip along the Venice lagoon as well as a guided walking tour of the city. Then you have the afternoon free to explore the city of canals on your own. Walk along the medieval streets, visit the glass factory, or even take a gondola ride! Then in the evening, head back to Milan. Shop 'til you drop in a full day shopping tour from Milan to McArther Glen Designer Outlet in Serravalle, Europe's largest and Italy's leading shopping mall. Enjoy discounts of 30%-70% in over 170 stores offering bargain-priced outfits by Bulgari, Calvin Klein, Nike, D&G and Cavalli. Discover Genoa, one of the Maritime Republics and birthplace of Christopher Columbus on a guided walking tour. The Harbor renovated in 1992 by the architect Renzo Piano and the labyrinth of narrow alleyways in the old town are just two of the many attractions of the city. After free time for lunch, visit the colorful village of Santa Margherita Ligure on the Tigullio gulf and take a mini-cruise to the charming Portofino, a half-moon shaped sea side village.